I am happy to introduce you to my friend and colleague Pierre Benoit. 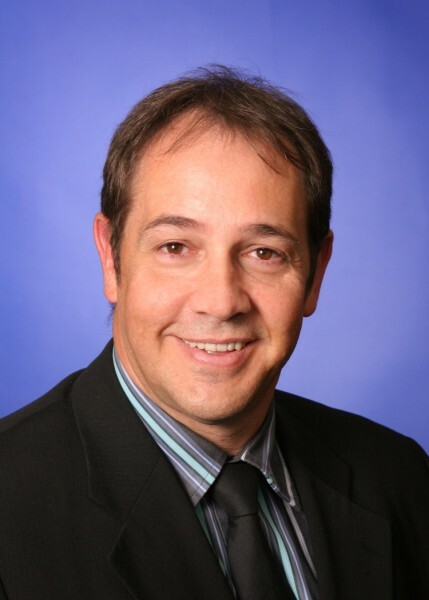 Pierre is a bilingual (French and English), experienced Registered Clinical-Counselling Hypnotherapist. He also has a special role to play in the Canadian Hypnosis world as the Eastern Canada Representative of ARCH (Association of Registered Clinical Hypnotherapists, Canada). Learn more about how Pierre is helping people using hypnosis out of his Office on the West Island of Montreal and further afield with his online hypnosis sessions and training. I worked as a Specialized Educator and Child and Family Counsellor for 25 years. As I was taking courses in NLP, I learned hypnosis and really liked that approach. So I decided to specialize myself in Hypnotherapy. I have been a full-time Clinical Hypnotherapist since 2004 and I have my own Hypnotherapy clinic in Ste-Geneviève, Quebec where I help people reconnect with their potential for success. I was looking to get better at helping the different clienteles I was working with. Through different courses I was taking, I ran into hypnosis. I was amazed at the rapid results I could get with that approach and how simple it was to utilize. I was also amazed when seeing the people after the sessions. They looked and said that they felt so much better. I felt I had no choice but to specialize in this modality. Hypnosis helped me in many different occasions. As a business owner, there are numerous ups and downs. Hypnosis has helped me in dealing of the stress and anxiety of those more difficult periods. It also helped me in dealing with more personal issues that I had to face through the years. Can you tell us about some of the professional hypnotists that you have admired or actually trained with who have influenced your approach to hypnosis the most? Two names come to mind. Dr Anne Spencer with whom I have taken my Medical Hypnoanalysis training with. I learned what I would call the ‘process’ of hypnotherapy. There is also Cal Banyan whose course helped me when starting my clinic by showing me a simple protocol to follow with my clients. What issues do your clients typically come to you for help with? It seems to vary according to the time of year. At this time, I have a lot of clients coming for phobias, anxiety, panic attacks. I also see clients with ADD and cancer patients that are referred to me. I have sports people (hockey players, golfers, gymnasts, etc.) coming to see me to enhance their performance. Many people come to see me for dental anxiety. Do you specialize in helping people with certain issues? I would say that the main focus of my business is ADD, Dental Anxiety and Cancer. Do you find any particular phase of your hypnosis work to be of special interest to you? If so, why?) e.g. one on one sessions, training hypnotists, writing scripts, producing recordings etc. I really enjoy one on one sessions. I like the contact I have with people that come to see me. I have started doing Online live sessions also and I get the same satisfaction as in my office. Another aspect of my work is training the hypnotherapists of the future. I work very hard at being seen as a professional and I care about hypnotherapy and its future. Pierre, I know you play a special role in your region as the representative of ARCH. Can you tell us a little more about ARCH and your role in it? ARC stands for the Association of Registered Clinical Hypnotherapists of Canada. It is a Canadian certification body for hypnotherapists in Canada. We have members across the whole country. ARCH has been representing Clinical Hypnotherapists to different levels of government to protect and promote our profession. We have a Code of Ethics and provide different services to our members such as training, mentorship, mastermind meetings and so on. I am presently the Eastern Canada Representative for ARCH. I strongly believe that there are excellent hypnotists and hypnotherapists in Canada. It is about time that we recognize our worth and have our own Canadian organization to represent us instead of relying on outside organizations. Be sure that you are ready to make the change that you want now. Do not be afraid to ask questions and verify the hypnotherapist’s credentials. Make sure that you feel comfortable with the person you are about to meet. Find a good training program. This will be your base to start your business. If all you have is one of those quick programs, you may fall short when seeing clients. Don’t spread yourself thin. When I first started, I found that there was so many good ideas out there that it kept me from being good at what I was doing initially. Use what you learned in your training program and get good at it (which can only be done by practicing). Then and only then can you start at expanding your knowledge base. Most of the time they have a tendency to mix hypnotherapy with stage hypnosis because that is the only contact they have had with hypnosis before. Another thing is the ‘Magic Wand’ belief where they think that hypnosis is a quick fix. As we both know, Hypnosis as a healing and helping modality has existed for hundreds of years now. However, it is more widely known and accepted in some areas than in others. 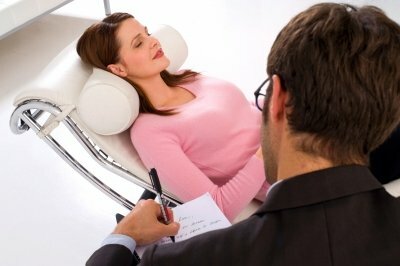 How would you rate the public acceptance of hypnosis/hypnotherapy in Pierrefonds and Montreal generally? Although there are still resistance out there, I strongly believe that people are being more and more open to hypnosis and hypnotherapy. 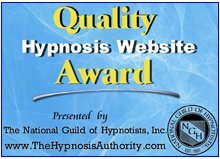 People seem to be looking at alternative types of therapy and hypnosis/hypnotherapy is getting more popular. What would your favourite book on hypnosis be that you would recommend to others? Hypnotherapy is a wonderful field and I believe that it will only grow as people are looking at new ways to deal with their problems and increase their well-being. This is a field of the future. Thank you Pierre, it's always good to talk with you and now I am happy to let my readers get to know you as well. Ask Pierre about sessions with him here or for him to give you a call. Return from Pierre Benoit Pierrefonds Hypnotherapist to City Hypnosis Directory here.